Social Factory comes with a highly customizable Memberships system that allows the administrator to create and manage different user ranks and add restrictions or grant access through them. To edit these settings go to Settings and click on Memberships. In this area, you can manage all the available memberships and their restrictions or add new ones. 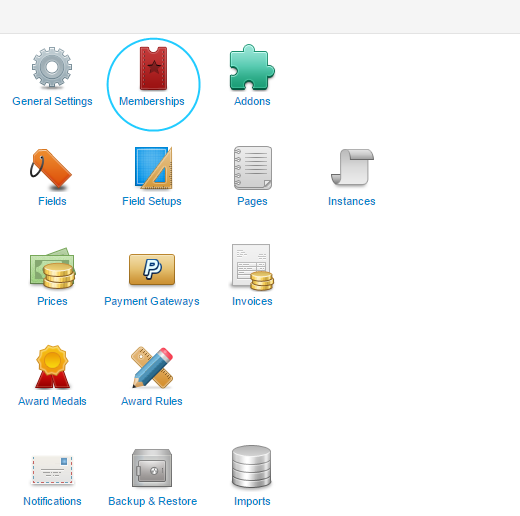 On the first page, you can add new memberships, edit the available ones or select the featured membership. On the Settings tab, you can define various membership proprieties. You can assign new users to a specific membership and set the amount of time it will be available for. Leave blank for unlimited time. Extend membership will allow users to extend their current membership with the new period of time if they buy the same membership. You can assign users to a specific membership when their current membership expires by selecting it from the Expired membership field and set an interval in which the new membership is available for. Leaving blank means unlimited time. On the Notification interval field you can add the amount of time before the user will be notified about the expiration. Unlimited free trials will allow users to use more than just one free trial. 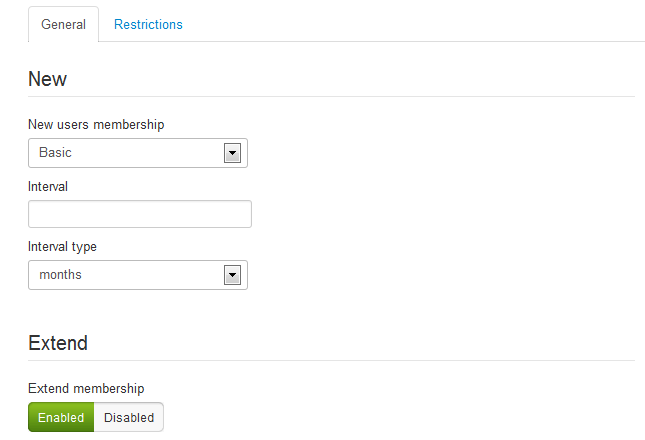 By clicking on the Restrictions tab you can enable restrictions for users that haven't bought a membership plan. By doing this, you will need to edit the available memberships and grant permission to these features for users by buying a membership plan. 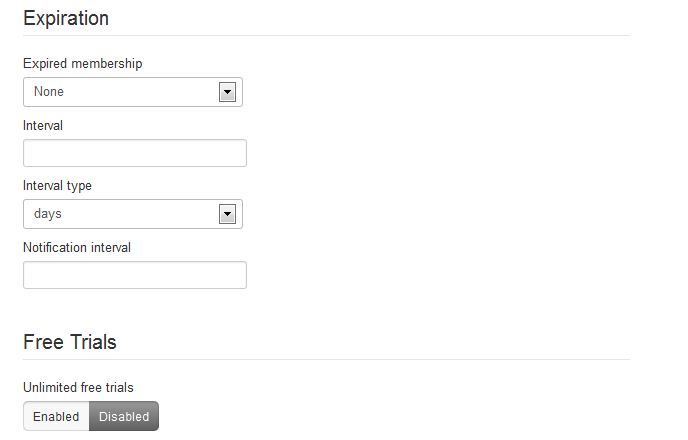 You will also have to enable the component menu related to memberships so that users will have access on the frontend. After you are done with the settings, click on Save & Close and then click on one of the memberships to edit the restrictions and other details. On the left side, you can define some basic details like the name of the membership, if you wish to publish it and the option to update all sold memberships with the changes you make(when editing). 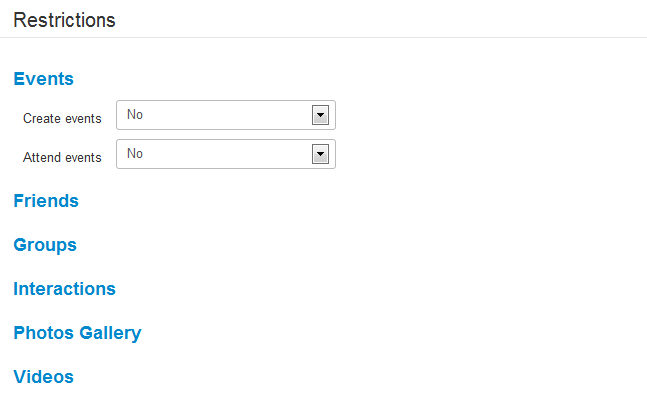 On the right side, you can grant access or set restriction for different types of actions for the selected membership. 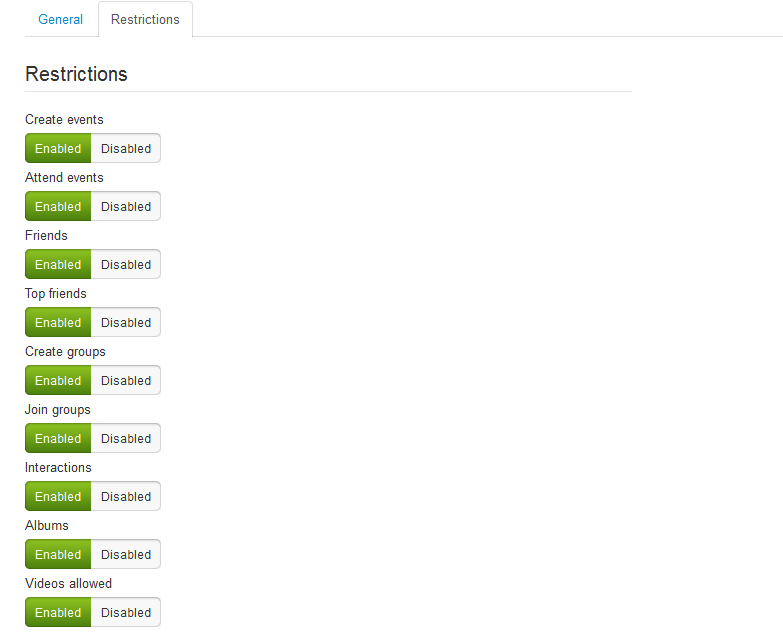 What you will find here depends on what you have enabled in the Restrictions tab earlier. 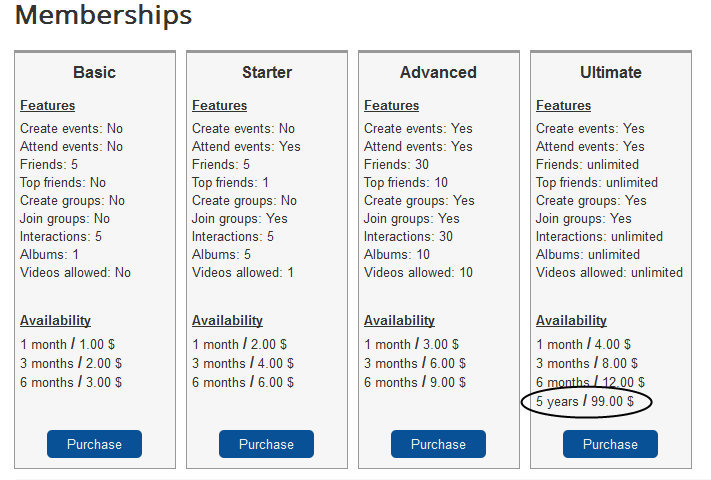 Now that you have the memberships set, you must add their pricing so that users can buy membership plans. 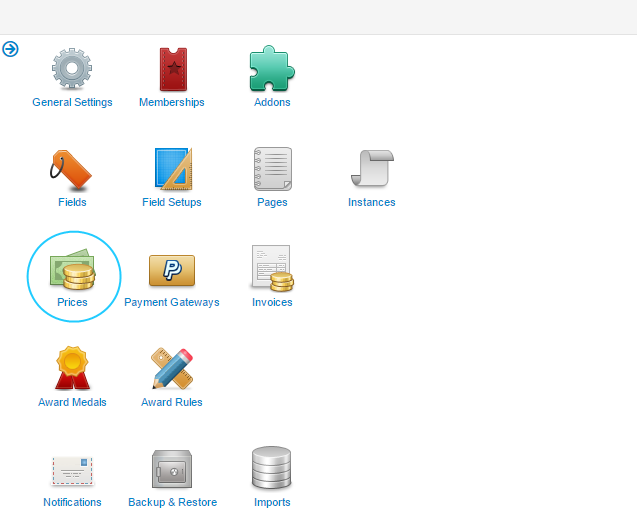 In order to do this, go to Settings in the backend menu and click on Prices to manage memberships pricing. 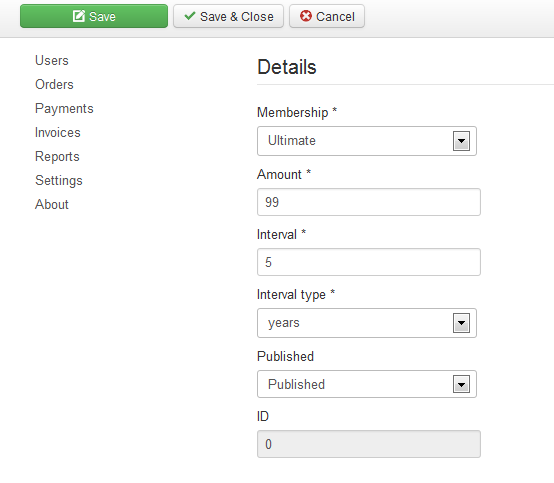 From here you can edit or add new pricing for the available memberships and to also publish/unpublish them. Note that it is possible to add different prices for different amounts of time on the same type of membership. Clicking on New will open the form to add a new pricing. 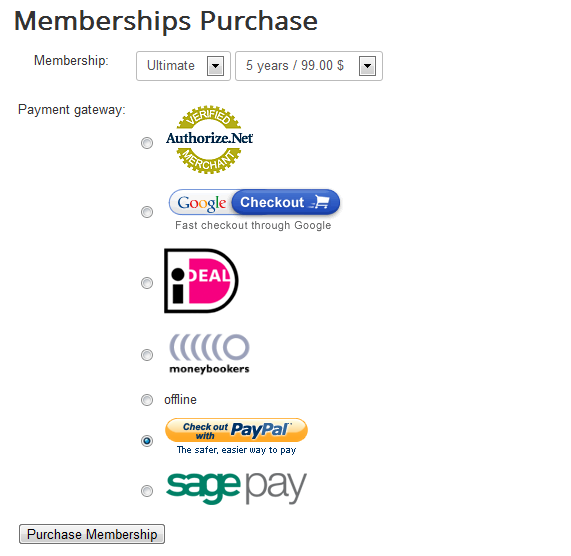 On the Membership field you have to select the type of membership you will assign the pricing to. Add a value for the selected membership, the default currency is USD but this can be changed by accessing General Settings. Below these you can set the period of time in days, months or years before the respective membership expires and if you wish to publish it right away or not. To verify if the new membership plan was made correctly go to the frontend and click on Memberships from the user menu. This is the section where users can buy them. Clicking on Purchase will let you select the membership type and the period you wish to buy it along with a gateway to process your payment. For the next step, in case you choose PayPal, you need to confirm the deal, read it and click on Buy Now to confirm. 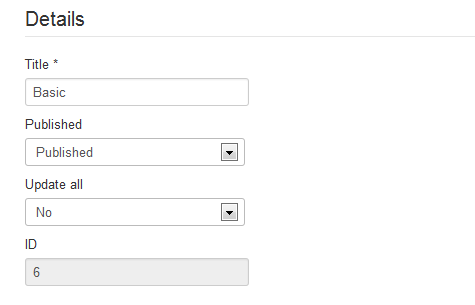 You can also enable PayPal Sandbox for testing purposes when you are in the developing stage of your website.